Bought them for my kx250f and absolutely love them they hook up great. 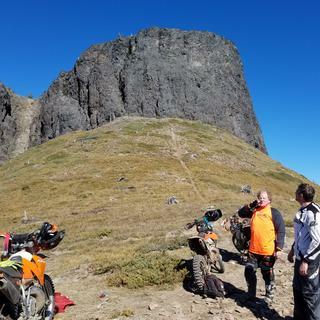 this tire throws some serious roost!! These tires are my favorite. I have tried a lot of others but nothing feels as good as a rear tire. Front I actually use another tire but the consistency which the rear provides is so predictable it makes all my exits feel so smooth. It wears fast but I will take that trade off. These are the best tires I have ever used. Rocky Mountain had the best delivered price too. These tires are awesome love them. Price was amazing delivery was superb. All off the upgrades on this tire is great. Perfect tire for most track conditions in SoCal. Did very well. In the muddiest race I've ever seen. Shocked by how good this tire hooks up in the corners, the more i rode the more confident was became to go faster into the corners. Highly recommend this tire. I want to buy a rear tire now. consistent feel, holds up well, easy to mount and good traction. im not a pro so i cant speak to small differences from tire to tire but it works well for me. Great traction and seems to be wearing decent. No tearing or missing knobs yet after 3 rides. Run it with 5 to 10 psi and tubliss sytem. Use this tire only on the track, hooks up great ! Was easy to mount. I would purchase this tire again. Only one ride on this tire so hard to judge wear. Bought a set of these specifically for my trip to Hatfield McCoy (a lot of heavy, tacky, clay like mud) and I was blown away by the performance. Power wheelie through the bad sections no problem. Very confidence inspiring. Have not had them long enough to tell about wear. I would highly recommend this tire . works very good in mud and sand. I have not tried it on hard pack yet. with one ride it show no signs of wear yet. go get some. they are amazing in sand and mud, they also have grip in snow!!! I used nothing but Dunlop MX3S and now the 33. I've tried other brands and they just don't give me the same confidence as the Dunlop. Similar performance to the MX32 but seems to last way longer. great tire. hooks up as good as the 3S and side knobs are staying on better in our Missouri rocks. Only one ride and I'm impressed. Run this on a 17 300 Six Days running Nitro Mouse. Great stability and grip. Where I ride I get a mix of rocks, loamy and dry sand to black dirt and mud. Tire worked very well in all conditions. Put 5.3 hours on the bike yesterday and so far the wear isn't noticeable. I'll update an a couple of weeks. I'm very pleased with the performance from this tire. What you expect from Dunlop Geomax tires. Very stable, grippy, and confidence inspiring. If I'm being 100% honest with myself I would say the MX3S may have felt SLIGHTLY better in certain situations, mainly coming out of corners. However, the durability on the newer MX33 is 10x better! Ok, maybe not 10x, but I'm getting at least double the life out of these, which means overall they feel better for much longer. The MX3S performance starts dropping significantly after a couple hours of use, whereas the MX33s still feel the same as new for 6 to 8 hours of use. I’m pleased with this tire. 4 races in and this MX33 seems to be wearing well, and still delivering great traction. 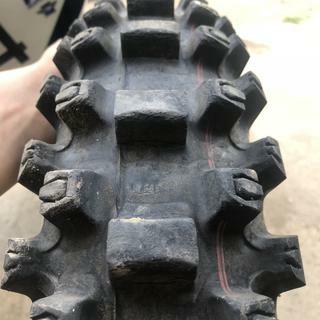 Compared Scorpion MX32 mid-soft, I think this tire has a bit better traction and seems as though it will hold up as well. I’ll use this tire again. MX33 after 4 two moto races, about 4 hrs. Wear on the edges but the traction still feels like new. I really liked the mx3s. This tire works even better. Front end feel is improved significantly. So far durability is good. I'm hoping the side knobs won't tear like the 3s. After a couple of days riding on this tire, I like the way it grips and Handles the soft stuff. Great tire !! This is a great tire! I have had the MX31 & MX32 and they were great cornering tires but the MX33 is even better. Great tires! Got about 20 hours on them and so far they’re holding their edge pretty good, no knobs ripping off or chunking. Traction is even better! Bought front and rear i love them. They are very stick, just waiting to see how they do in the mud. Good traction. Don’t seem to hold their edge as good as the mx3s. Rear tire is done after 2 races. Great if you don’t mind buying them 6 at a time. The best soft tire. Well worth the price. Excellent tire. Never go wrong with a Dunlop. MX33 hooks up great in all terrains but really excels in sandy tracks. Price is a premium but you definitely get what you pay for. Tire is excellent. Has good grip on most track conditions. Feels like it has better grip then the previous MX3s. We'll see if these actually last longer too. 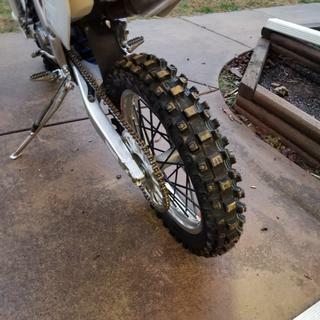 Great tire, seemed to hook up very well on my son's kx 85. But had a very hard time trying to get it to bead evenly. 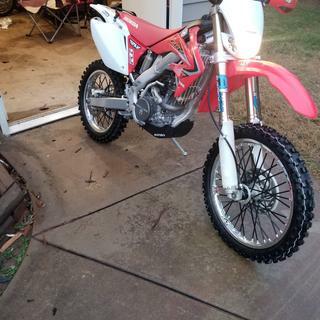 I purchased a set of these for my '17 CRF450R, and they are fantastic! After the stock tires wore out, I replaced them with some Bridgestones, which were pretty good, but I wasn't getting the same feel and traction out of them I was used to with Dunlops. When I installed these, there was an immediate, notable improvement. Incredible grip on a variety of surfaces, including hard-pack, predictable handling, and easy turning are just a few of their best features. I can now run about 1 PSI lower air pressure, with no loss of traction, and better control. Compared to the outgoing MX32s, these are definitely a step forward. They inspire confidence, and eagerly encourage me to dig deeper, go harder and lean farther, rewarding me with compliance and grip for days. Longevity is yet to be seen, as they've only been on the bike for about 4 - 5 hours, but, so far, they're holding up great! Definitely recommended! BEST ANSWER: 80/100x21 is standard front. 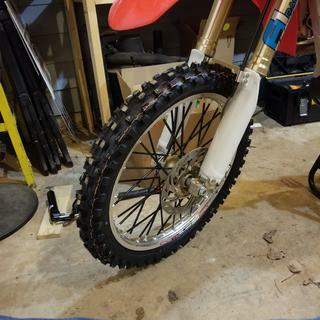 Rear are usually 110 or 120/80x19 for MX, or 18" for trail. If you create a "machine profile" for your bike in your account, there's a link to all the standard sizes for tires, tubes etc. that your particular bike uses. It's best if you use the same size tube as the tire size is. In a pinch or if the exact width of tube isn't available, you can put a different width using the same rim size, tube in. The tube size corresponds directly with the tire size so you should just get the matching size. It is a good idea to also replace the rim strips at the same time. What size is the rim? I use the MX33’s and really like them. However, I hear the Michelin Starcross 5 soft are really good as well. Kris Keefer has a podcast where he does a great review of these two brands of tires. I would listen to that if you’re still unsure. I prefer the Dunlop mx33 over the Michelin. We run strictly woods and hare scrambles. The mx33 hooks up better and wears better. 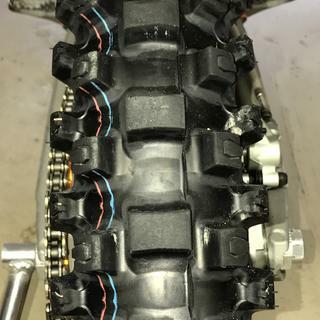 Very happy with the MX33's, but I have never used Michelin tires for a dirt bike so I can't really say. What is the wider tire.The 80x19 or 90x19? BEST ANSWER: The 80 is fractionally wider, 120 vs 110. So 1 mm. You will mostly notice a flatter foot print with 80 series tire. 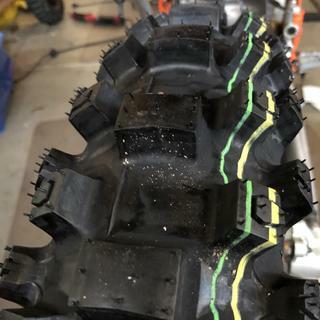 I like the 80 for tracks with soil closer to the upper limits of hard pack for the tire. But if I don't get one swapped, It still works very good in sandy/loamy conditions. Sometimes, if the track is a super rough track, the taller tire will track better with less air, and protect your rim a little better. The tire size should be in 3 separate numbers: 80/100x19 and that means the tire is 80mm wide/ 100% tall as it is wide and the last number is the rim size it fits so the 90mm tire is wider if the 80 and the 90 are the first numbers in the size code. I have an XR80 with a FRONT tire size of 2.50-16. What is the correct FRONT tire size to buy for my bike? 2.50 - 16 is the stock size for your machine. BEST ANSWER: It’s great tire. Big nobs for the sandy where that crap will drop you. Sturdy nobs for the rough rocks. 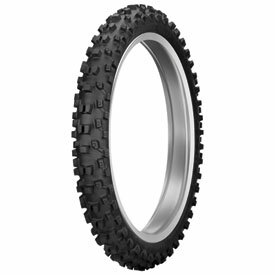 I see the 120/90x18 is an option for my 2017 crf450r with this tire, any specific reason to go bigger than stock/reccomended size? BEST ANSWER: Its personal preference depending on the terrain. I like a wider tire personally. What does 120/90/19 mean in reference to the size? BEST ANSWER: It is tire Width/aspect ration/rim diameter. How long do these tires last with mild use? BEST ANSWER: They will last quite a while with mild use. It will also depend on the terrain you are riding on. I know these are new, but would you know what nitro bib would fit best in the 110/100-18? BEST ANSWER: You will want to get the 120/100x18.